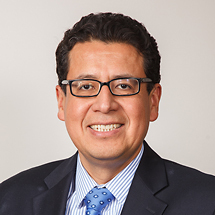 Pria Wellness Center also provides Internal Medicine and Primary Care services through the medical group Rodolfo Fernandez MD, Practice Associates. This is the primary care side of the Wellness Center. Although we participate with most health insurance plans, we also accept patient without insurance. Payments are accepted with cash or credit card only (Visa, Mastercard, American Express). Please call us at 410-747-6080 for our current fee schedule. Our practice requires that all new patients keep a valid credit card on file, so please fill out and sign the Credit Card on File Billing Authorization form and bring it with you to your next visit. In the event that a patient has a co-insurance, deductible, a change in co-pay amount or your visit is not covered due to a pre-existing condition or for any other reason your card will be charged. Our receptionists are available from Monday to Friday to assist you with appointment scheduling, prescription refills, and taking messages to our Physician. Our office hours are: Mondays through Fridays from 8:30 am to 4 pm. A completed and signed registration form and office policy form. We can also email or mail you the forms prior to your first visit. A list of medicines that you are currently taking. If possible, please bring all your medication bottles with you. Same and Next Day appointments are usually available for your urgent visits for either new or established patients. If you will be late for a scheduled appointment, please call us at 410-747-6080 so we can make appropriate arrangements. Please give us one business day’s notice before cancelling your appointment. If you do not call us to cancel your appointment, you will be charged a $25 service fee.